More than 1,000 tenders issued for new homes, most in Jerusalem. Minister: It's the right thing to do. The Housing Ministry will publish tenders for construction over more than 1,000 new homes in Judea, Samaria and Jerusalem on Sunday. The Jerusalem tenders will include projects in historically Jewish eastern and northern Jerusalem neighborhoods that were officially annexed to Israel following the Six Day War. The Palestinian Authority continues to demand the neighborhoods as part of the capital of a new PA-led Arab state. 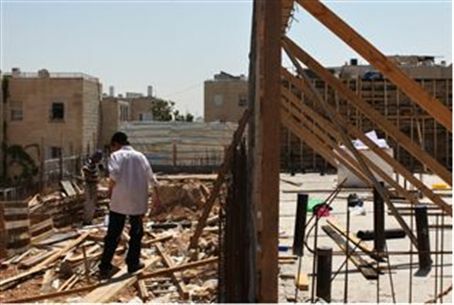 The United States and Europe have traditionally condemned Israeli housing projects in those parts of the capital. The construction plans include 400 new homes for the neighborhood of Gilo, 210 in Homat Shmuel, and 183 in Pisgat Zev. In addition, 394 new homes will be marketed in cities in Judea and Samaria that belong to “settlement blocs” – majority-Israeli regions close to the 1949 armistice line which Israel plans to keep as Israeli territory even under a peace deal with the PA.
Of those, 117 will be built in the city of Ariel, 149 in Efrat, 92 in Ma’aleh Adumim, and 36 in Beitar.